A country pub oozing rural charm and rustic character, our picturesque surroundings provide the perfect backdrop for savouring the hearty, seasonal pub-food on our menu. The Willy Wicket is a ‘must do’ for collectors of eccentric British pub names, cricket enthusiasts, and if you like an interesting stroll. Downend is the birthplace of beardy cricketing legend WG Grace. There’s always a great reason to visit your local Vintage Inn. 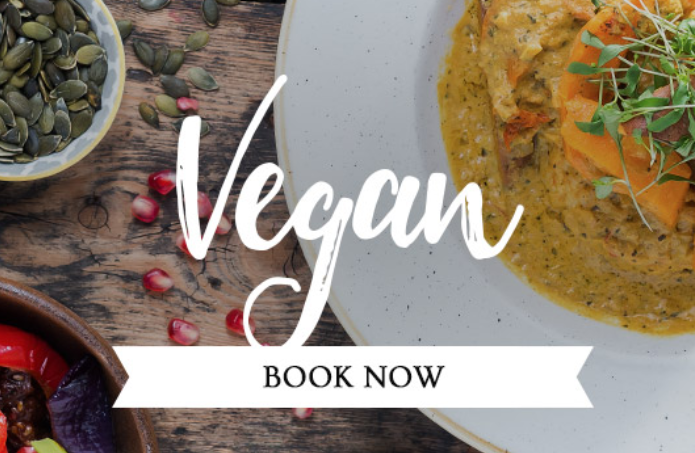 We’re proud to now offer a Vegan Menu, 7 days a week, featuring a range of starters, mains, sides and puddings. This will be available alongside our usual menus, so please just ask a member of the team if you wish to see it.